It's the summer after the war with the Titans. And Percy Jackson is missing. Yea, that's right I said it. Missing. Three day's after Percy has been missing three new people and many more across America and the world are attacked by storm spirits. The ones that change the fate of the world are Jason Grace, Piper McLean, Leo Valdez, Percy Jackson, Annabeth Chase: and well us. Jason was found with amnesia, and he is a son of Jupiter. The Roman form of Zues. Jason has takeing Percy's spot at Camp Half-Blood while Percy takes Jason's spot at the Roman Camp Half-Blood. And we, we are all mixed up and out of place. But we know that something and someone is starting a new war, and they are even worse then the Titans. Mother Gaea is awakeing and she is mad and with the help of the Giants, nothing will ever be the same. Are you ready to join the fight and join forces with the Romans and the Greeks? Or are you going to be with Gaea and her sons? Choose fast, the war is starting. Yea, you didn't think we were going to have any did you? 1. )Follow all of Forever's rules. No exptions. 2.) Play all of the people that you make. I don't really care how many you have. But you must play all of them. 3.) If you would like to play original characters, ask me first. And if more then one person wants to play them then I will let you both play. But that is only if when you ask I haven't giveing him/her to another person already. 8. )I will make the first Quest and that is what we will be playing off of, but once we get started and everything is going good I will accept other Quest ideas. But you have to think of the Quest Poem. Personality: Just like her father's. Dramtic. Personality: She is quite, she doesn't talk to most people. But she has a lot of friends. It takes a lot for her to trust you and when she does, she will do anything to protect you from anything and anyone. 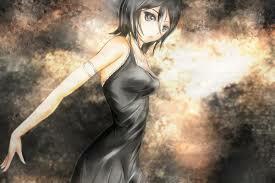 She may seem dark at times, but that just comes with beening Pluto's daughter. She loves to listen to music and dance but she will not dance in front of anyone. And I mean anyone. She has a very mean side, but that only comes out in battle. And that is just how she was rasied. With the Roman's they are more war-like and they are much more ferce then the Greeks. When playing Capture the Flag, the Campers go into the forest, where all the monsters are. All magic items are allowed in this game. There is a flag on each side of the forest. To win you need to bring your opponent's flag across the border (the river that is in the middle of the forest). The flag must be visible. The creek is the boundary line. The entire forest is fair game. All magic items are allowed. The banner must be prominently displayed, and can have no more than two guards. Prisoners may be disarmed, but may not be bound or gagged. No killing or maiming is allowed. Personality: QuietquietQUIET. She kinda slinks in the shadows, and doesn’t bother to really converse with some people. She stays AWAAAAAAAAY from girly-girls. AWAAAAAAAY. She enjoys listening to music and climbing the rockwall. And she likes Pepsi Throwbacks. Yes. She can be considered ‘classy’ at times, and others… well… Her heroes/idols are Audrey Hepburn and Joan Jett from the Runaways. In battle, she’s really fierce, and breaks away from her shell. Abilities: Kung-Fu (fighting! ), raising the dead, fire powers, phoenix tears and melting into the shadows. Demigod weapon: A scythe, One sword with a ruby on the handle, a dagger which usually is kept in her shoe, a black iron shield with Victorian designs all around it with a ruby in the middle, and a helm of darkness. Mortal weapon: (In order...) Black earrings, A ruby necklace, a clip to go on her socks, a black large bracelet, with a ruby and that weird ball like thing in the picture that she's holding. History: Alison is one of Hades' kids, she was born in August 13th. She’s not actually sure who’s her mother. She stays in the human world more than she should, but she goes in an academy, and comes down to the Underworld on her free days. She took kung-fu for 3 years and is one step away from black belt. She’s somehow able to stay in this Academy, even though her ‘difficulties’. She found out she was Hades' kid when she was really young, as he had to raise her. When she was 12 she entered Camp Half-Blood. Music: "Dead End Justice" "Lips Lie Morphine" "Call Me" "Therapy"
Demi-God or not: (nymph, naiad, satyr) Demi-God. Personality: She is quiet and is expressionless. She hates jocks and preps, MOSTLY the preps. She LOVES sierra mist natural. In times of battle, she is merciless and ONLY then is when her expression changes from blank to serious. Abilities: Trained like a top assassin, talking to animals, hunting and STEALTH. Demigod weapon: (Without the Mist) Unlimited arrows and a aluminum bow, a long skinny sword, a a shield made out of cobalt, and a steel breast plate that looks like wood to fool enemies...hehehe. Mortal weapon: (With the Mist...so what mortals see if and when you get into a fight in front of them...) A pencil that she hides in her sleeve, a shark tooth necklace, and bear claw earrings. History: (When did they find out they were a demi-god? 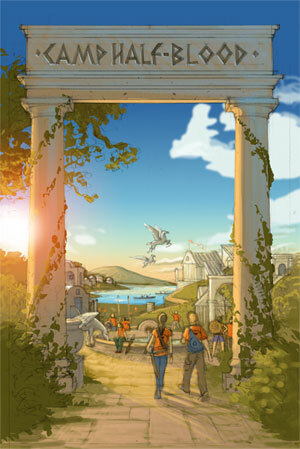 When the got to Camp Half-Blood, Background ect.) Aero was born on October 15th. She wasn't the brightest of Artemis's kids and her siblings truly think she belongs in the Hades cabin. Her father was killed by muggers and she lived in a run down hotel. She found out about her mother and was literally dragged there by the owner of the run down hotel (which was a satyr to her surprise) and she was 13 at the time. She listens to her MP3 player instead of socializing with others. Music: Hero-by Skillet Firework-by Katy Perry Sober-by P!nk. Other: She hates water. If she is forced to go swimming she might kill the person who trys to get her into the water. OOMM: Okay...your in. But what about the last name thing? Should we just leave it and saw it was a qukiedink or something like that? ?